Born at Beaverdale, Saskatchewan on 1 June 1900, he was educated in Saskatchewan and British Columbia. He received BSc (1929) and MEd (1943) degrees from the University of Manitoba. He began a long teaching career as Principal of the Arrow River School (1921-1923) and Isabella School (1924-1925), moving to Winnipeg in 1925 where he taught at Isaac Newton School, Kelvin High School (1929-1931), and Gordon Bell High School (1932-1941). 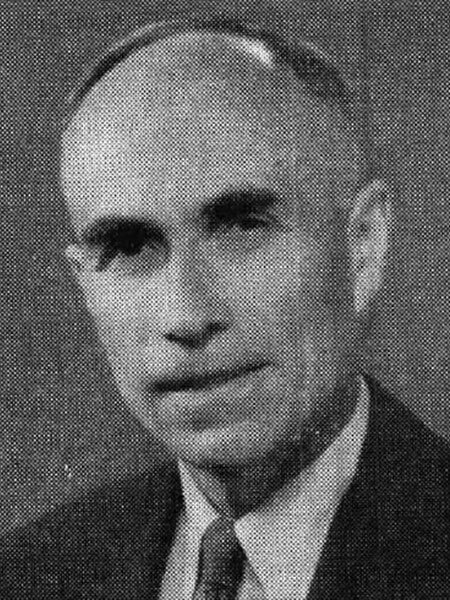 He served as Principal of Queenston School (1941-1945), Robert H. Smith School (1945-1954), River Heights School (1954-1955), and Gordon Bell High School (1955-1965) prior to retirement in 1965. In recognition of his service to the educational community of Manitoba, he was given a life membership in the Manitoba Teachers’ Society (1966) and he receivd a Manitoba Centennial Medal (1970). On 27 June 1931, he married Margaret Turnbull at Winnipeg. The couple had three children: Christina McPhail “Chris” Gow (1933-1992), Donald Bruce Gow (1936-1967), and John Robert Gow. He was Secretary of the Manitoba Educational Association (1935-1941), Director of the University of Manitoba Alumni Association, President of the Faculty of Education Alumni Association, and a member of the Winnipeg Teachers’ Society, Manitoba Teachers’ Society (President, 1957-1958), Canadian Teachers’ Federation, Mentor’s Club, Crescentwood Community Club, Victoria Beach Community Club, Age and Opportunity Bureau, and St. Andrew’s River Heights United Church. After his retirement from teaching, he spent several years in the education program with the Atomic Energy Commission at Pinawa. He died at Winnipeg on 12 January 1977 and was buried in the Elmwood Cemetery. The History of the Manitoba Teachers’ Society by Haraldur Victor Vidal, MA thesis, University of Manitoba, 1958. The History of the Manitoba Educational Association by Ernest Butterworth, MEd thesis, Faculty of Graduate Study and Research, University of Manitoba, 1965. “Teachers honour educationists,” Winnipeg Free Press, 11 April 1966, page 5. Obituary, Winnipeg Free Press, 15 January 1977, page 98. Obituary [Margaret Gow], Winnipeg Free Press, 30 October 1989, page 23. Obituary [Christina McPhail Gow], Winnipeg Free Press, 23 September 1992, page D2. We thank John Gow for providing additional information used here.